We service medium to large size office buildings! Please tell us about the Office Cleaning service that you need. Send us a note! Employee health, productivity and customer perception are essential business elements that are directly influenced by the level of cleanliness and organization within a work environment. That’s why it’s an easy decision for every office manager to run an office that’s always clean and uncluttered. However that’s easier said than done. The human traffic that goes in and out of large offices is usually enough to pile up dirt and bring in disease-causing microbes within a matter of days. To keep your office tidy and clean you’ll want to hire an experienced and trustworthy office cleaning service provider. Valor Janitorial is exactly that kind of company. We specialize in deep-cleaning of office and commercial spaces in the Dallas-Fort Worth area. Our team of office cleaning experts are equipped with state-of-the-art cleaning equipment and up-to-date knowledge that allows them to perform a perfect cleanup job each time you call them in. Over the years our DFW client base has relied on us to clean and disinfected their workplaces. We also provide the added value of removing chemical residue left behind by conventional cleaning methods. We'll give your workplace a much more natural, open and uncluttered feel once we’ve completed our task. This often results in a much more comfortable workplace that customers love to visit and employees love to work in! Please call us today to speak with our friendly and courteous staff. We’re ready to answer whatever questions you may have and we can send over a team of cleaning specialists within short notice. You may also prefer to contact us using any of our website contact forms. We can respond to you by phone or email however you prefer. 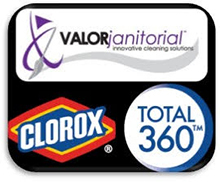 For your small office cleaning trust Valor Janitorial to get everything done for you. Valor Janitorial is the leading provider of floor cleaning and polishing services and commercial carpet cleaning services in the Dallas-Fort Worth area. Valor's many years of experience, modern equipment and best methodologies in the industry, make them the top choice for floor cleaning needs. Please contact us for a FREE estimate. Valor Janitorial is the NUMBER ONE choice for professional Janitorial Services in Dallas, Texas. Contact Valor Janitorial for a FREE estimate. You'll be glad you did!